I’m all for toy cars. Hell, at least 75 percent of my kid’s Hanukkah haul is toy-car related. 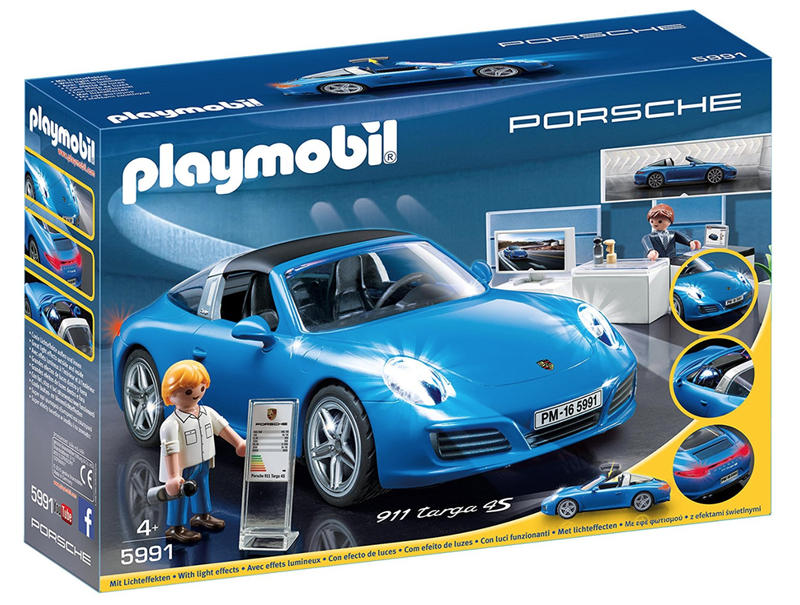 And while I know Playmobil makes some very nice toys, and their toy Porsche 911s look especially fun, what with their illuminated headlights, taillights, and even dash instruments! But a Porsche dealership toy? What kid is into this? Wait wait wait—the description mentions not just a planter, but a LECHUZA planter. I had to Google that to know what the hell it is. It seems those are self-watering planters. If you or someone you know has a child that would want this because it has a LECHUZA self-watering planter, I implore you to call child protective services, because that is a loud and clear cry for help. It’s a dealership. With little International Style-looking chairs and laptops and desks and crap. Who is this kid? And then your kid can make the suit guy go talk to his manager (the dog) and then you and your kid can have fun filling out lease application docs your kid made you find on the internet and print out. In crayon. You’ll be filling them out in crayon. Later, you can have the joy of hearing your kid tell you that they just ran your credit and they’re so sorry, but they’re not able to extend such an amazing offer at this time. Then your kid will pull out the Playmobil Mitsubishi Dealership playset which is, let’s face it, more your speed right now.